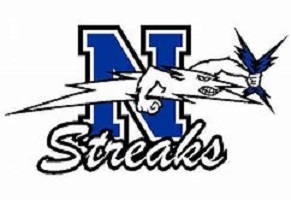 Our High School Game of The Week was held at Neodesha High School last night as the Bluestreaks hosted Tri-Valley foe out of Fredonia High School the Fredonia Yellowjackets. From the start it was a back and forth between these two teams though Neodesha was able to stretch out into the lead before the half. The gap was all they needed, though the end of the game did not come without a big push from the Yellowjackets. Fredonia did give a good effort to make a come back but ran out of time and could not complete the come back. Neodesha gets the home win by a score of 53 to 45. Our next High School Game of The Week will be the first Tuesday in February on Tuesday the 5th. We travel out to West Elk as the Patriots host Sedan on Greatest Hits 104.1 KGGF FM.